A lot of people are taking up knitting as a constructive and relaxing hobby. In fact, there are about 24 million people all over the world who have assiduously learned the ropes and loops of knitting and discovered a highly rewarding pastime in this ancient craft. 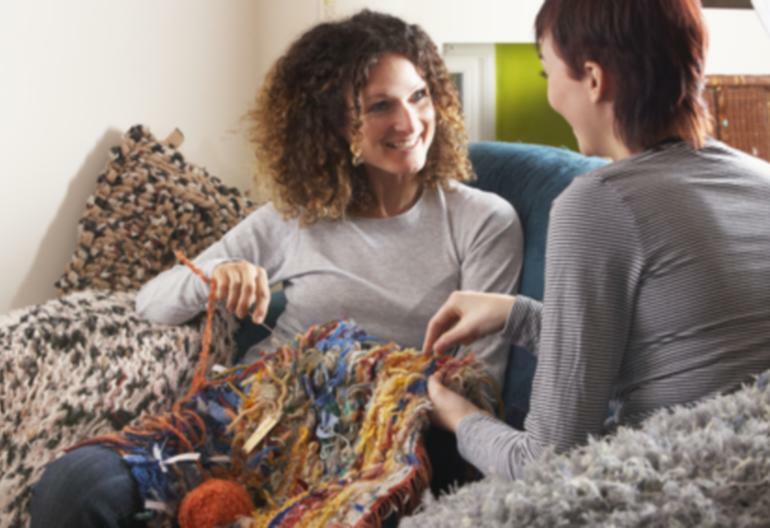 If you want to flex those nimble fingers of yours and develop those creative muscles, then knitting naturally presents a wonderful recreational activity that you can indulge in. If you prefer to approach knitting in a traditional way, then it’s best to attend knitting classes to learn the basics. Why? A peek on a simple knitting pattern would probably confuse you with the abbreviations and the intricacies that go in the creation of a simple piece of knitted product. In many knitting classes, you will be working alongside with other beginners and facilitated by professional knitters. Aside from some beginner’s knitting classes, you can also learn other important and valuable techniques along the way. Most of the knitting classes usually have an average span of 3-5 hours and are already organized into small segments and programs to ensure proper flow of classroom instruction. Design in one of the important emphasis in any knitting class and participants are engaged in discussions as well as given worksheets to enable them to work on their project even outside the classroom environment. Knitting classes are usually limited to a maximum to 20 people to ensure that each student would be provided with optimum attention and supervision. If you have some kids old enough to attend classes, then it’s a wonderful idea to bring them along and allow them to attend knitting classes that are specifically designed for kids. This will provide them with yet another interesting activity where there creativity will be further enhanced as well as present another type of learning experience for them. With knitting, one is never too old to learn. It’s a highly enjoyable and relaxing hobby that you can indulge in after a long day at work or during those lazy weekends when you don’t have anything to do. This particular craft does not even require you to be artistically inclined since you will be given patterns to follow and your creation will take form right before your eyes. So if you think you are up for another great adventure, then why not consider seriously learning how to knit. Who knows? You might just surprise yourself and discover that you can really be good at it. These days you can also find a number of knitting classes online, which you can follow from the comfort of your own home. Craftsy have a wide selection of online knitting classes, with a range which are absolutely free to join. Click here to access them, and enjoy knitting! Looking for intermediate pattern of a man’s knit hat with intermittent cables that don’t always cross but meet. I have a pic of the item I want to do. I am trying to improve my knitting while speeding my results at the same time.